The Friendliest MVD in Town! Friendliest customer service in NM is at MVD Express! Stressful days can leave you ready to pull your hair out in frustration. Having these kinds of days isn’t a rare thing—it can be reality for most of us. Sometimes, trying to balance your errands, work, and your home life all in a day can cause so much stress that you have to deal with! 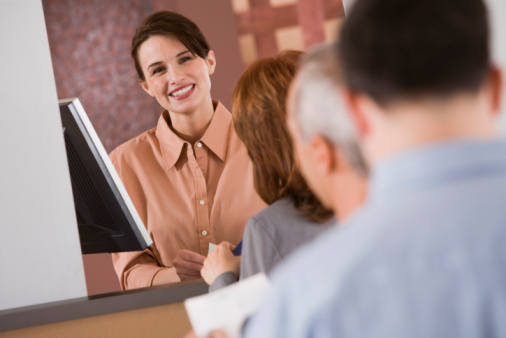 When you need to come in to take care of a MVD issue (which can also cause some stress), you’ll be able to walk in to an office with a friendly staff waiting to help you. We’ll see you soon! Our friendly staff is not only happy to help you take care of your MVD needs, but we’ll do it as efficiently as possible. They’ll get you in, done and on your way with time to spare! Come in and let us do all the work—so you don’t have to!